This U.S.A. made compound bow eliminates your worry about the fixed draw lengths and weights. This flexible bow allows you to adjust the draw length from 12” to 30” and the draw weight from 5lbs. to 70lbs. You can just identify your shooting ability and adjust the bow according to your physical strength. It also has an advanced grip design for accuracy. Since the grip is comfortable, it’s perfect for women’s hands. Its maximum preload quad limbs allow you to hit your target without any mistake. If you decide to purchase this, you won’t be disappointed. It has a very smooth draw cycle, great for women of any age. It will also save you a lot of money because it’s already loaded with relevant parts and additional accessories. It’s a complete package with offset spring suppressors, a quiver, peep sight, Whisker Biscuit arrow-rest, Trophy Ridge sight, MV-Cam system, and a wrist strap. However, if you’re a novice, setting this up on your own is not advised. Be wise enough to ask an expert’s help. Professional archers will need only a few minutes to set this up. If you want a fast bow, you may be disappointed, too. 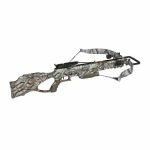 This bow has an IBO (International Bow-hunting Organization) speed rating of 310 feet per second (fps) which falls under medium-paced category compared to bows achieving speed of over 320 fps. But for younger shooters, 310 fps is already fast. 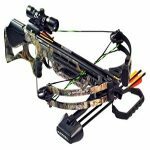 This U.S.A. manufactured compound bow is the best for women shooters for its numerous features and functions. Because its parts are from the U.S., you can be certain that this is a high quality bow that can be used in any environment with low and high temperatures. With its adjustable draw length and draw weight, it will give you room to grow and improve in the sport. It’s safe to say that it will grow as your strength grows because it’s also designed to last long. 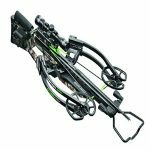 The Archery Cruzer is designed to deliver a consistently smooth performance, featuring Bear Archery’s double cam system. The cams help ensure an accurate and quiet shot, while also providing a smooth and easy draw cycle. 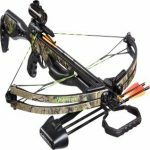 It is an excellent choice for novices practicing their aim and hunters that simply want a shorter bow out in the field. Its limb pockets help improve accuracy, while also adding strength for heavier draws. 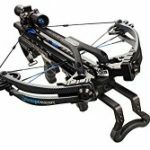 This compound bow is also built for comfort, and with its 3.6 pounds of weight, it is easy to carry with the rest of your gear. The reflex riser, just like the one in this bow, is commonly the best choice among professional archers where they could bear the less forgiving characteristic of a bow against the faster speed of the arrow once it leaves the string. Most shooters prefer the power against handling on which they have mustered the right skill to counterbalance its effect on their performance. 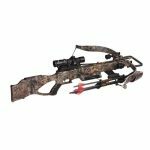 Since this compound bow is equipped with an offset string suppressors, noise is minimized because the vibration made by the string after every shot is diminished as well. The suppressors ease the bow without decreasing the accuracy of the aim. The preloaded styled limbs also help to reduce the amount of vibrations felt during the draw. Without the creaking and other small noises that are common with compound bows, you can easily sneak up to your prey and release an arrow before the game notices. You also have the advantage of the included sling with this package so you can learn to shoot open handed to eliminate noisy recoil. Another great highlight worth discussing is its Quad Limbs construction where it’s upper and lower limbs are split in two ways. The Max-Preload Quad Limbs construction is proven to diminish hand-shock and vibrations that may result to muscle ache and fatigue overtime. The Quad Limbs give the serious female wielders the convenience and comfort they need that other conventional bows could not provide. The grip on this bow is designed using advanced technology which totally eliminates hand torque that may affect aiming and accuracy compared to regular grip of other bows. The upgraded grip gives shooters the soft, convenient and comfortable feel when aiming for the target, which is perfect for the naturally soft hands of ladies. The Cruzer also comes with a 6.5 brace height which is always an advantage for beginners just starting to practice their aim. You also have the benefit of the 75 percent let-off, which makes it easy to draw and hold your aim for extended periods of time. Plus, this compound bow is available in both left-hand and right-hand models. Bottom Line: For the price, this flexible, light, and quiet bow package is everything you’ll need.